neonsushi — musings and doings. bits and pieces. I found these fantastic little condiment spoons on my last trip to Chicago in a housewares store called CB2. 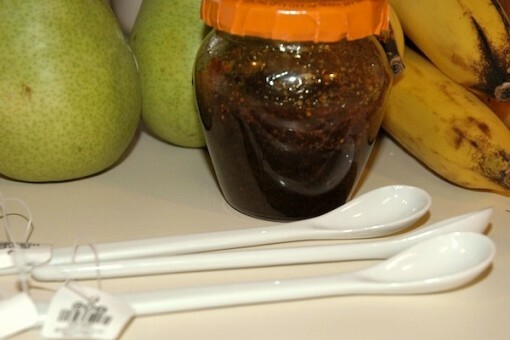 They’re perfect for jam or mustard or even stirring your coffee. This is the chocolate chip cookie recipe that I made with my Grandma Helen when I’d spend Saturdays at her house. I learned how to measure ingredients and handle an oven with this recipe. We won’t discuss how I once set a dog food dish on fire that my Grandmother had stashed in there. Scarred me for life…we just won’t discuss it. Preheat oven to 375°f. Grease two cookie sheets, or line them with parchment paper. Cream together butter, Crisco and sugars on medium speed for 1-2 minutes. Add in egg and vanilla and mix on medium until combined. Sift or whisk together dry ingredients and then add to wet. Mix well on low until dry is incorporated and dough forms. Stir in chocolate chips by hand. 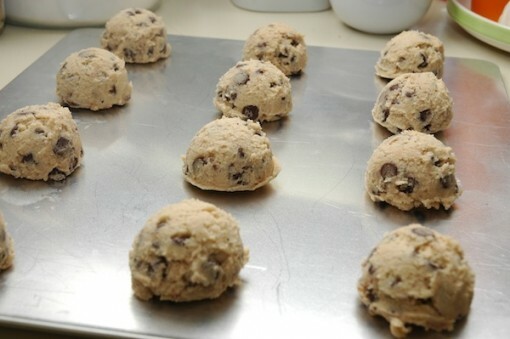 chocolate chip cookies, ready to bake! 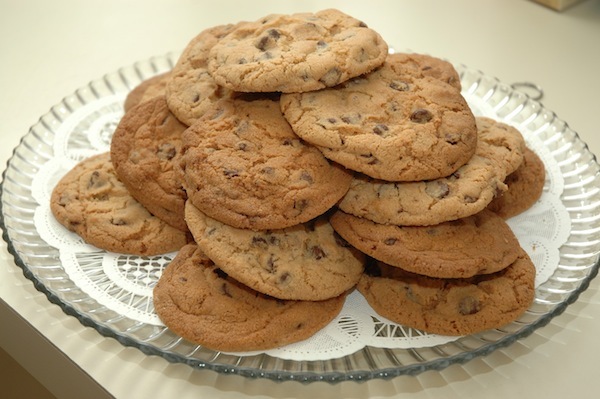 A #20 disher makes large cookies, bake 10 per sheet. Bake cookies for 10 minutes on the two middle racks, then swap racks and bake for an additional 5-10 minutes until they are golden brown. For small cookies, use a #40 disher, bake for 10-12 minutes and swap racks half way through. Makes 20 large or 36(ish) small cookies. Remove from cookie sheets and cool on a brown paper bag. 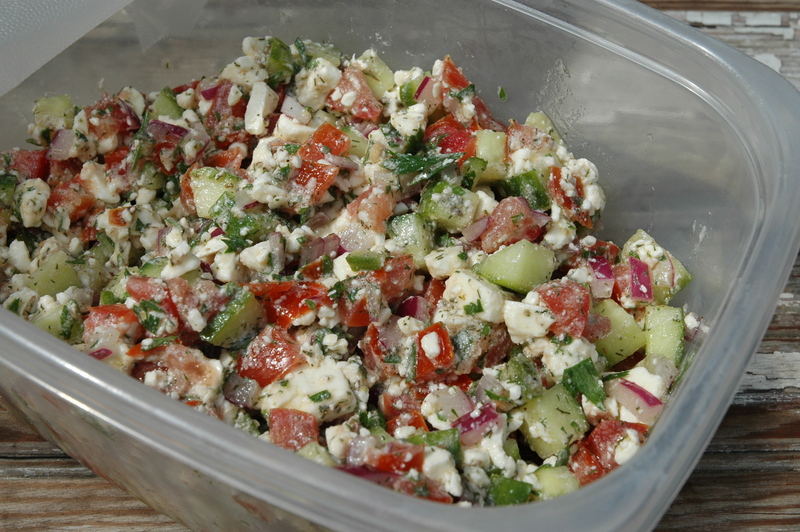 This is a great summer picnic recipe. Okay, so as you can see…this recipe is really flexible. It’s called “salsa” because you can chop everything real small and eat it with tortilla or pita chips. I usually eat mine with a fork, so I chop larger. The recipe calls for green onion, but I usually use red because I like a bit more onion flavor. I always chop my entire cucumber because I don’t want to have to eat half a leftover cucumber later. If you don’t have an English cucumber, you can use a regular cucumber, just be sure to spoon out all the seeds before chopping. So, just throw everything into a bowl and mix well. Refrigerate for at least 2 hours before serving. You can make this up to one day ahead. Serves…6 with some leftovers.